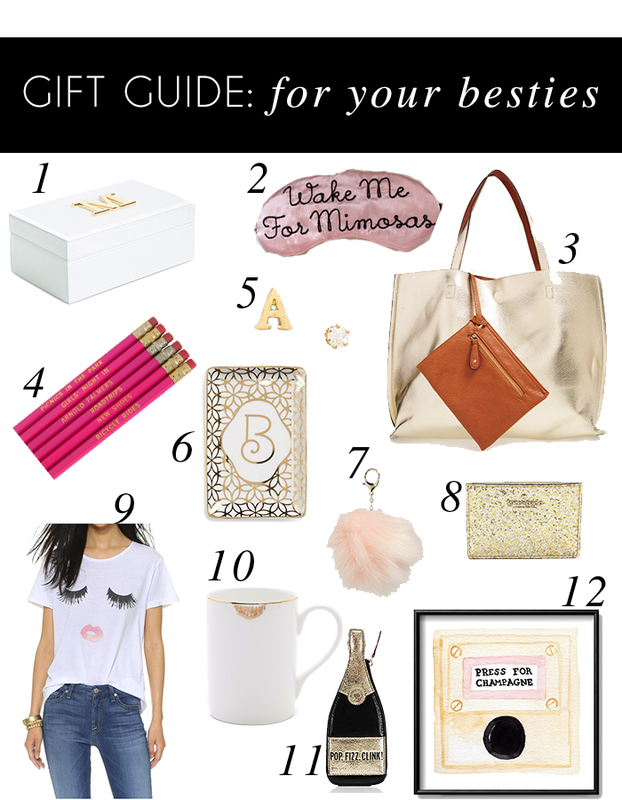 Shopping for your besties has got to be one of the most fun groups on your list to shop for! The more frivolous and cute the gift is, the better. When I think of gifts for my best friends, I think of something sparkly, gold, or super feminine. Everything I've included on this gift guide totally fits the bill and the best part is that everything is under $50! When you've got a lot of ladies to shop for, it can be a little stressful to stay in budget, so my friends and I usually set a budget of $50 and under. With all the great sales going on this weekend, staying under budget is totally doable! Today is also Small Business Saturday, so I encourage you to shop small if you can! Some of the things I've included are from Etsy and Design Darling, two of my favorite places to shop small no matter where you live!